Disturbed frontman David Draiman was recently interviewed by FaceCulture, you can read some excerpts below. Draiman got some very practical advice for younger musicians who may need some guidance about managing their finances, saying: "I'm a very active angel investor in a number of different companies. I have a real estate development company. I have investments in all sorts of things, and I dabble all over the place. I'm still a businessman. But what I do for my primary living and what is my life is music, and that will never change." He said that his goal with his various businesses is not always necessarily to make as much money as quickly as possible. "It depends on the individual entity. Most of them are diversification things, things that in today's environment, as a musician and as an artist, and not just in today's environment [but] always, it definitely helps for you to diversify, it helps for you to be smart with your money, to put in places where your money will make you money, and to not squander things as they come along, to realize that time is fleeting and to try and make the opportunities as they come your way, to be smart about the environment that you're in." 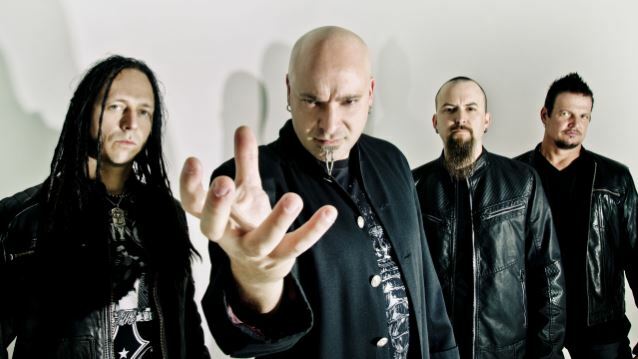 Draiman added that he is far from the only rock musician to take an active interest in where his money is going and the investment options being offered to him. "I think you'll find that there are a lot of guys in our line of work that have been avid investors. I mean, you can go back as far as somebody like Duff McKagan, who invested in Starbucks and Microsoft back in the day and now has a hedge fund that he helps manage and a business management firm for other musicians that he's a part of. Or you could go to the Linkin Park guys, who have their own venture capitalist fund that they now oversee as well for investment purposes." He continued: "Look, it makes sense to be able to take part of what you've earned in this life and have it grow. And I hope that other musicians out there that do have their moments of profit and of success are wise enough not to squander those profits and that success." Asked if he hopes that some of his outside investments will help him build a better future not only for himself but also for others, Draiman admitted: "I have no such grandiose aspirations. It's definitely a nice thought, but it's not an easy thing to change the world. And I think that as an artist, I will have a much greater possibility of having some effect on this world through my art than I will through any sort of investment or any other business entity."